Florida teen David Hogg, who “stepped into the national spotlight” in the aftermath of the tragic February school shooting in Parkland, Florida, was soaking up the attention Monday when he spoke to the U.S. Conference of Mayors in Boston, according to the local CBS affiliate. Hogg, who recently graduated from Marjory Stoneman Douglas High School, also reportedly marched in Boston’s Pride parade Saturday. According to the report, Hogg told the mayors that, “We can’t keep hosing the blood down our streets, repairing the shattered windows and bullet-riddled doors and burying our young because when we bury our young we bury our future. “This has to change. This change can only happen with you,” he said. But not all is heaven for Hogg these days. He was taken to task by Debbie Kaminer, professor in the Department of Law at the Ziclin School of Business, Baruch College, City University of New York, according to NJ.com. Her piece ran in that news vehicle, in which she was critical of Hogg’s claim that “young people will win.” Hogg actually sent that message out on Twitter. 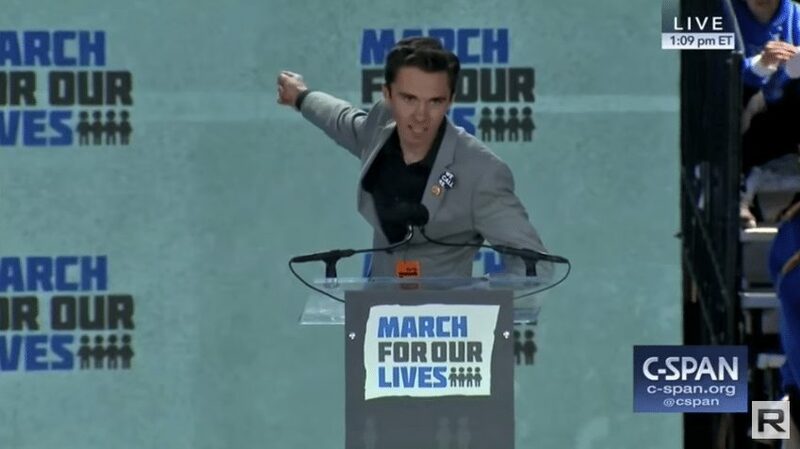 “Hogg’s position is not that the young people will lead, or reinvigorate the gun control debate but rather they will win — and this presumably means that older people will lose. It is one thing to say that youth have an important and unique role to play in the gun control debate and quite another to frame gun control as an intergenerational conflict. Rhetoric matters in building a movement.”—Prof. Debbie Kaminer, City University of New York. A lot of teens do not agree with Hogg. A number of teen Second Amendment activists showed up earlier in the spring for a rally on the Capitol steps in Olympia, Washington to protest proposed gun control restrictions on modern sporting rifles. That Hogg has emerged as a lightning rod gun control activist seems to many to be something of a media invention with no small amount of help from the gun prohibition lobby.